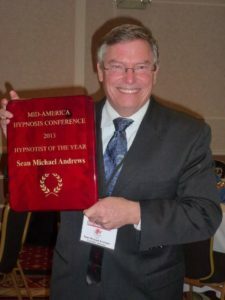 Sean Michael Andrews it a Certified Hypnotist and a Certified Instructor of Hypnosis. 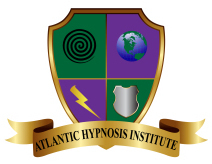 Born in Baltimore, Maryland USA, Sean spent the past four years doing hypnosis research in Heidelberg, Germany. Sean is a Master Practitioner of NeuroLinguistic Programming (NLP) and one of the few Practitioners who has trained with both co-developers of NLP. He is also the author of six Educational video products. An accomplished stage hypnotist, Sean is one of only two hypnotists ever to have performed a show at three hypnosis conferences in one year! He is the Supervising Instructor for the Dave Elman Hypnosis Institute, and he is also a qualified nursing hypnosis instructor. He has taught hypnotic pain control to anesthesiologists in Adelaide, South Australia and he has taught nurse anesthetists in Orlando, Florida.